This congregation began meeting in a room above a house, where they put on posts and a metal roof. 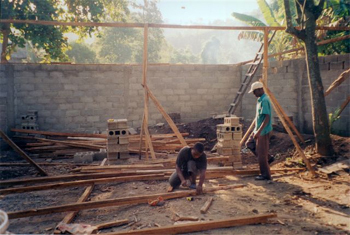 After LMA helped them with the purchase of a property and helped them build walls, the congregation took the metal roof from the upstairs church and removed it to the new property. 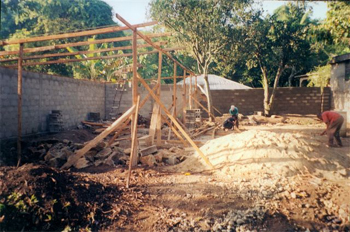 Since that time, a new stronger wall has been built, which became a wall of their new, much larger church. 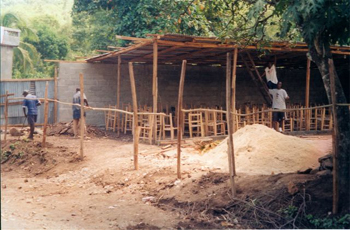 The church/school was dedicated in February of 2014, though it still needs plastering and some reinforcement. At the dedication, choirs and pastors from all five of the North District churches took part in the 2 hour service. Located in a residential part of town, this lot has a partial wall (about four feet in some places, eight feet in others). 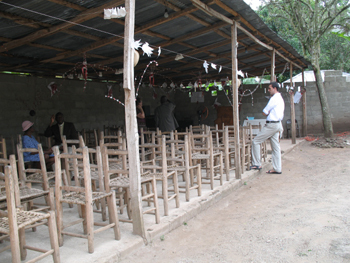 The building is a lean-to church with a leaky metal roof and a dirt floor. Although there is no well, there is an outdoor toilet on the property. This congregation is being served by Pastor Gergens Edouard, who also serves as the principal at the Madeline school during the week. 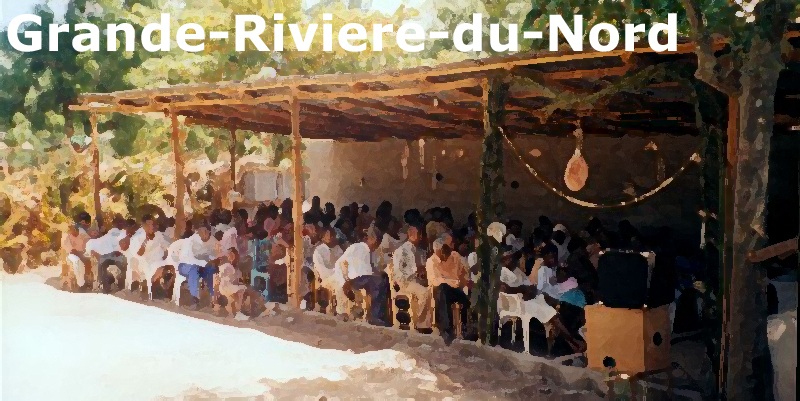 What can you do to help Grande-Riviere-du-Nord?